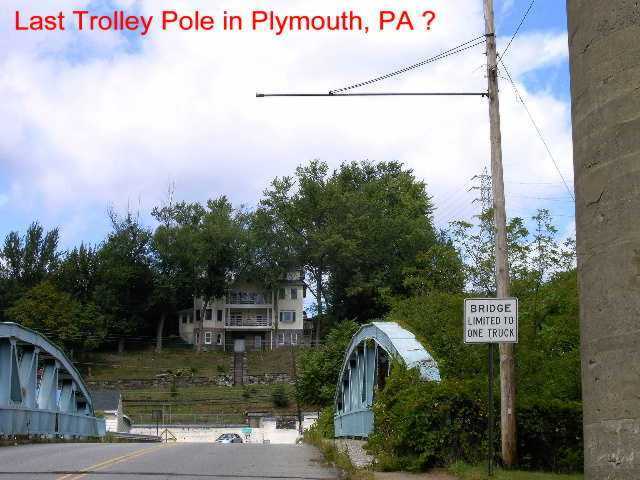 Last Trolley Pole In Plymouth ? Wow look at this. Was out on the mountain bike today and came across this. 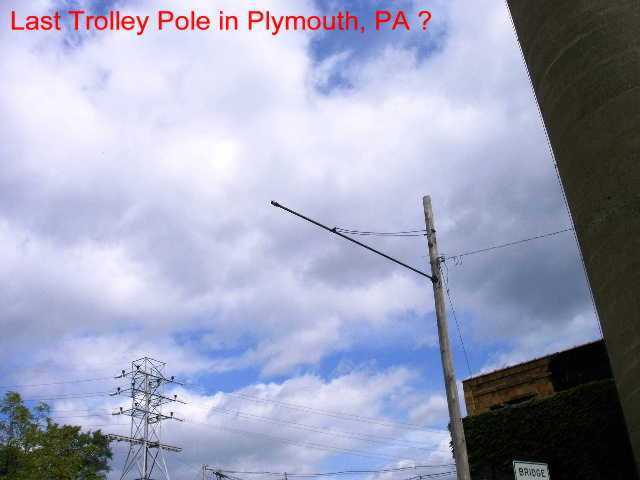 This could be the last trolley pole in Plymouth PA. I have been here several times before and never noticed this. Or if I did see it, it did not click in my head what it was. 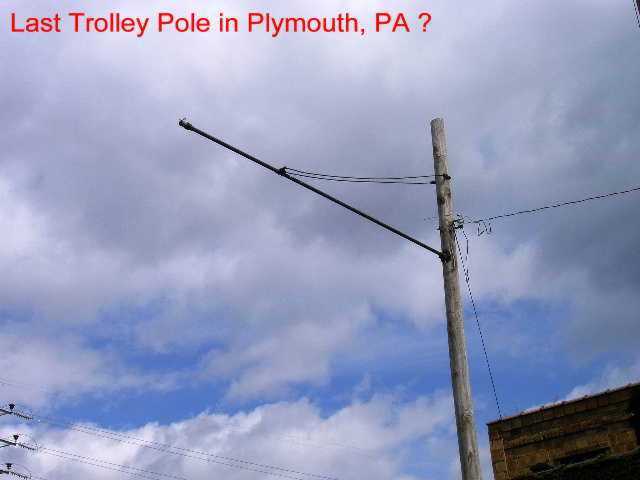 Took a look at Ed Miller\'s Anthracite Traction and it looks like the poles that were used in that area. This is the approach to the old Carey Ave bridge that was demolished a few years ago. The arch bridge goes over the cinder path that was the DL&W Bloomsburg line.